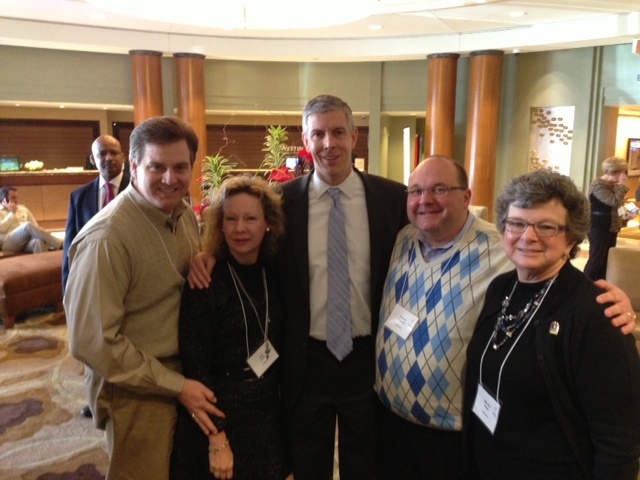 The @ASCD Leadership Institute for Legislative Advocacy (#LILA14) was held in Washington, DC on January 26-28. Patrick Chappell, Donald Turner, Mitchie Neel, and Jane Cobia attended the conference and spent part of two days on the Hill. The purpose of long-standing institute is to “raise our voices as education professionals on behalf of policies that support the whole child and promote the comprehensive achievement of educators, students, schools, and families”. With these areas in mind, the keynote speakers led with trends, policy development, and how to talk with the congressional delegations. One speaker in particular talked at length about the disruptive pressures on public education today and about reform fatigue. His take is that so many people are lethargic that we simply do nothing and let those in policy making positions do whatever they want. Rick Hess, author of Cage Busting Leadership, talked about changes in context about feelings of teachers. His new book, Cage Busting Teacher will address some of the ways to counteract what he termed as “dehumanized human interactions” when legislators make policy and don’t consider the impact on kids and teachers. Another concern was that the policy in itself may be good, but the problem is in implementation and interpretation. Dr. Hess suggested that we should offer practical solutions and alternatives as we met with our legislators and not to just ask for more money. He concluded with “policy can make people do something, but it can’t make people do it well”. Policy can create conditions, but can’t count on policy to make a difference. Our keynote speaker on Monday was Arne Duncan from the US Department of Education was really about education and teaching in general. We were able to have a photo taken with him and a brief conversation about a couple of things happening in Alabama. The congressional visits were the highlight of the Institute for us and we were able to see and speak with someone in all 7 House offices and the 2 Senate offices. Congressman Mike Rogers, Spencer Bachus, and Congresswoman Martha Roby personally met with us and were very interested in the education issues facing public schools. The staffers in all offices were prepared for our meetings and offered a sense of timeline for passage of re-authorization of NCLB as Spring 2015 with IDEA and Carl Perkins soon up for discussion. Everyone expressed interest in our e-newsletter and requested to be added to the distribution list. We developed a flyer and took that with us to the meetings. 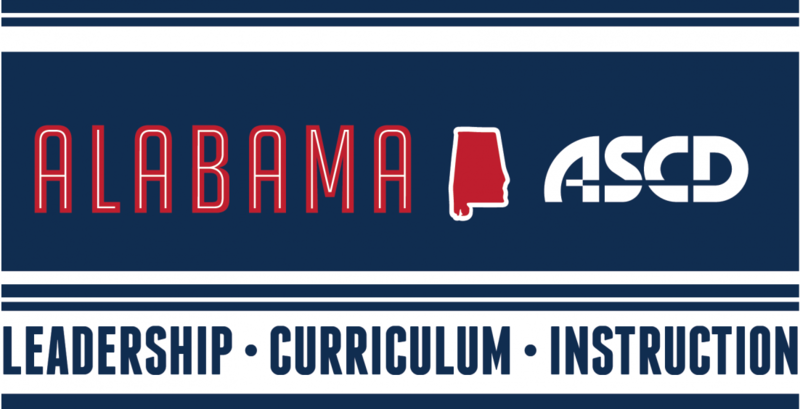 Our intent was to tell about Alabama ASCD and what we do, ASCD, and State Department of Education, and then highlight 12 schools/districts in Alabama that are doing amazing and innovative things with student learning. The legislative advocacy comes with developing long term relationships with our Congressional delegation and their staffers. As we continue to return each January to the Hill, we gain more credibility and are asked more frequently for our input. This is good for education and educators in Alabama.